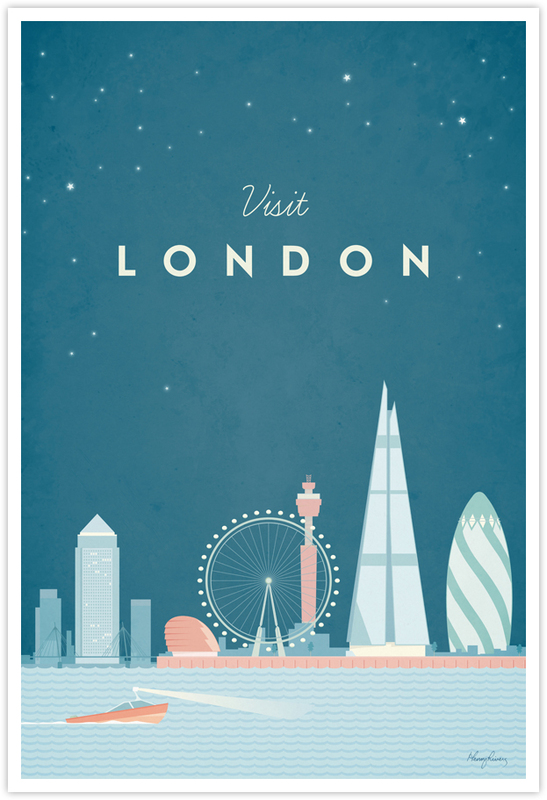 London Vintage Travel Poster | TRAVEL POSTER Co.
Prints of our posters are available through our partner society6. 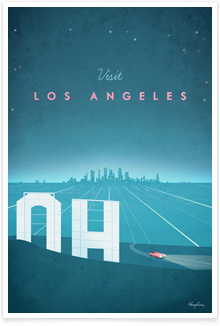 Based in California, society6 produce gallery quality Giclée prints on natural white, matte, ultra smooth, 100% cotton rag, acid and lignin free archival paper using Epson K3 archival inks. 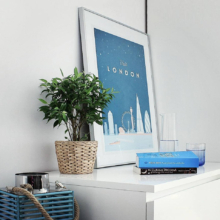 X-large, large and medium sized prints are custom trimmed with 2″ border for framing. 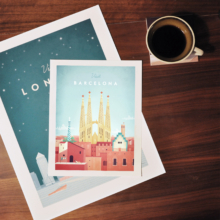 Small and mini sized prints are custom trimmed with a 1″ border. 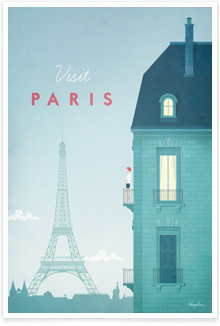 This is an original vintage travel poster design by contemporary artist Henry Rivers. 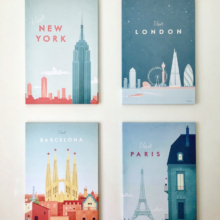 Inspired by vintage travel advertising of the 20th century, Henry illustrates the world’s best-loved cities with cool colours, playful details and a minimalist style. 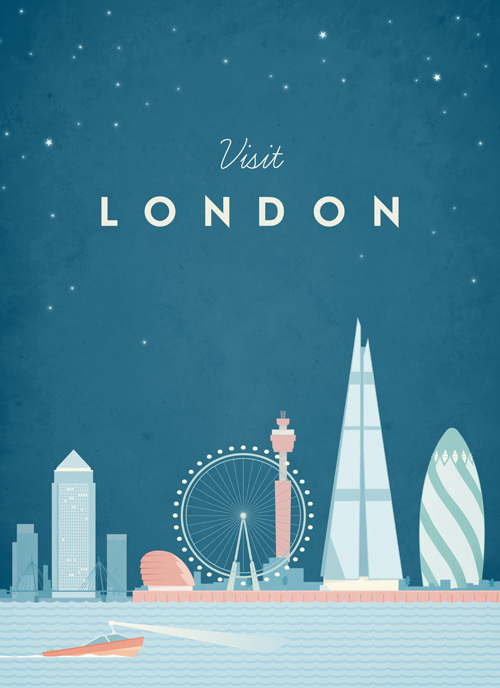 This vintage travel poster of London depicts a little motor boat cruising along the River Thames at night. Running behind the river is London’s iconic skyline, with each of the city’s modern landmarks illuminated in colour against the night sky. The super modern London Eye, The Gherkin and The Shard dominate the composition, with the BT Tower and Canary Wharf sitting in the distance. The text reads Visit London. 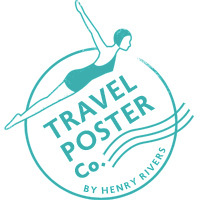 Founded in 2015 by artist Henry Rivers, Travel Poster Co. create vintage travel posters with a contemporary twist. 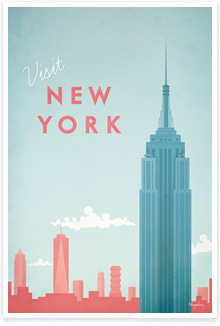 To keep up to date with our latest designs follow Travel Poster Co. on Instagram and Facebook. All Artworks Copyright © 2014-2019 Henry Rivers. All rights reserved.